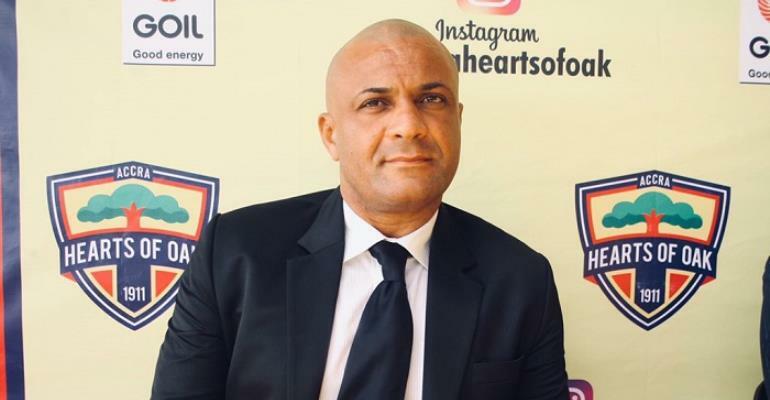 According to multiple reports in the local media, Kim Grant is set to vacate his position as the head coach of Hearts of Oak. According to sources, the former Ghanaian international is not pleased with Mark Noonan's decision to leave the club as the managing director. The club on Thursday confirmed Noonan's exit from the club on the grounds of family reasons. However, sources say Kim Grant is not impressed with the new management after the exit of the American administrator. As a result of that, the former Ebusua Dwarfs technical director thinks the best option is for him to leave the club to save himself from any impending problems with the new leadership. The former Charlton Atletic star was appointed as the head coach of the club by Mark Noonan last year and has been impressive since joining the club. Kim Grant will be leaving for holidays to visit his family in Germany, and according to reports within the club, they don’t think he would return to continue his job as the head coach.